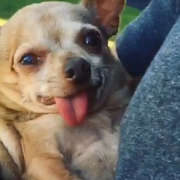 There was something about a senior dog named Jelly that wriggled its way into Elaine Seamans’ heart. 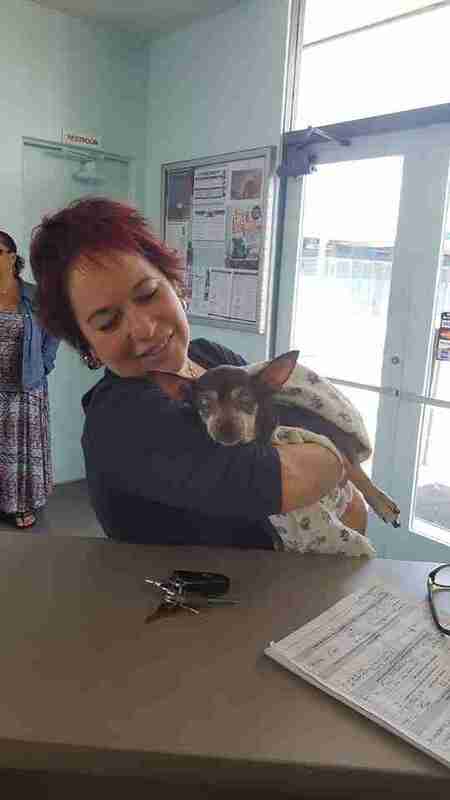 Seamans, who volunteers at Baldwin Park Shelter in Los Angeles and also runs At-Choo Foundation, an organization that helps pay for shelter dogs’ medical costs, had learned about Jelly, a 14-year-old Chihuahua mix, after seeing a few photos. 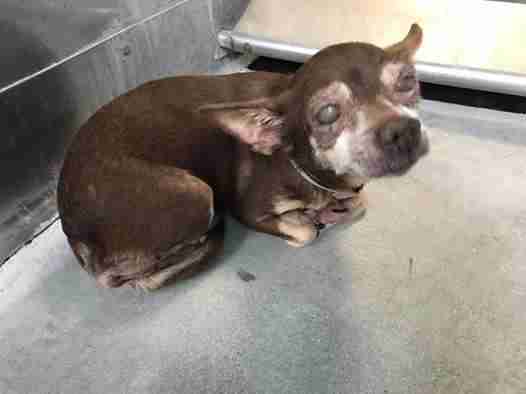 Earlier this month, Jelly’s owner had surrendered her to Baldwin Park Shelter for reasons Seamans doesn’t know. 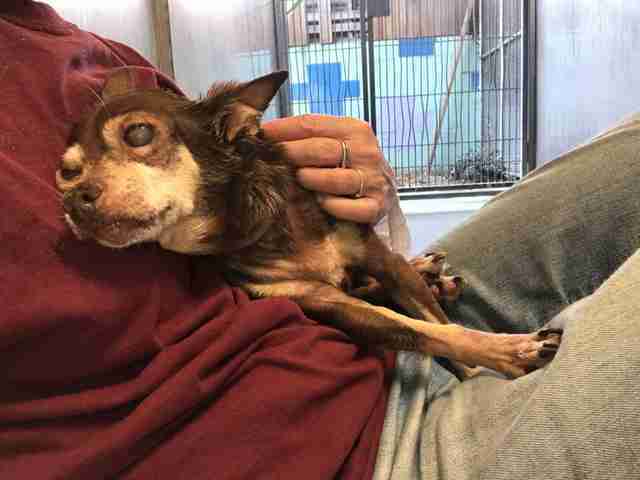 While any dog would have found this transition hard, Jelly probably found it especially difficult — besides being old, Jelly was blind and partially deaf, and had a host of other medical issues. Knowing everything she’d been through, Seamans wasn’t sure how friendly Jelly would be. So Seamans was stunned when she picked Jelly up and the little dog covered Seamans’ face with kisses. 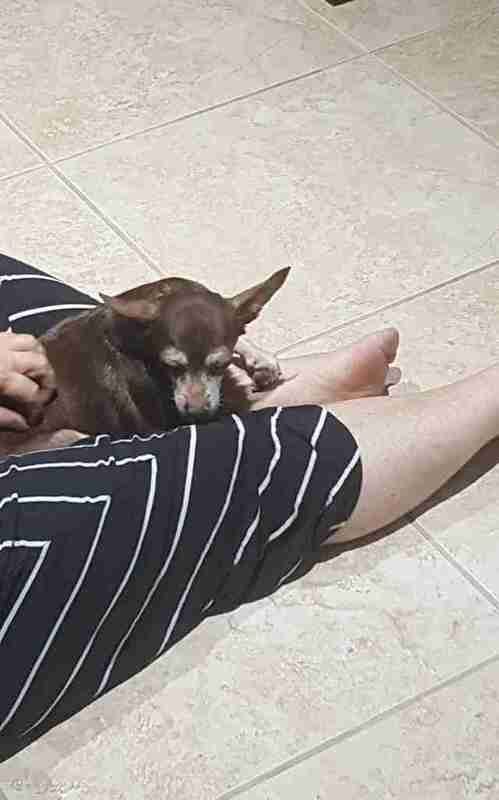 While Seamans wasn’t in a position to adopt Jelly herself, she was determined to find this senior the perfect home. So Seamans posted pictures of Jelly on social media, which found their way to Carlynne McDonnell, the founder and CEO of Barkee Laroux’s House of Love Animal Sanctuary. The only thing deterring McDonnell was Jelly’s medical needs, which McDonnell knew would rack up a bill at the vet. 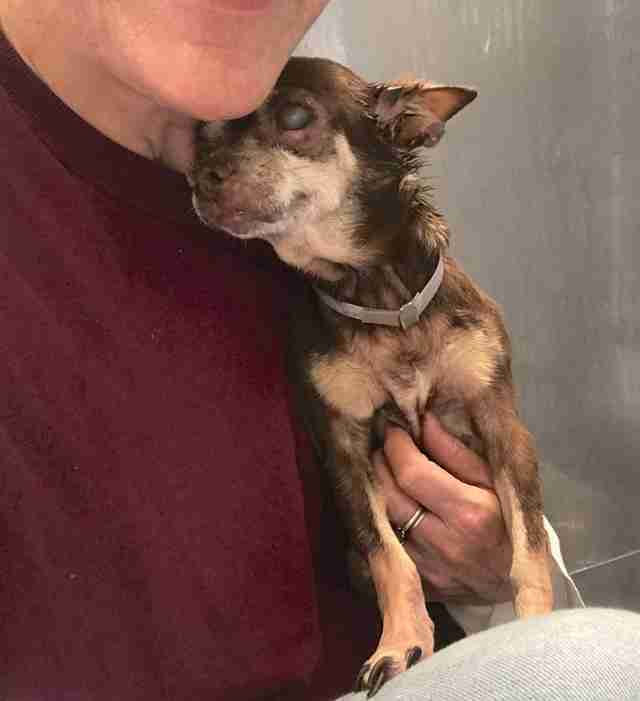 Jelly had a skin condition, dental issues, a heart murmur, cataracts, and ear inflammation, as well as the start of kidney disease. This is where At-Choo Foundation stepped back in — they offered to underwrite Jelly’s medical bills if McDonnell was able to pull her from the shelter. Last week, McDonnell drove two hours to get Jelly. 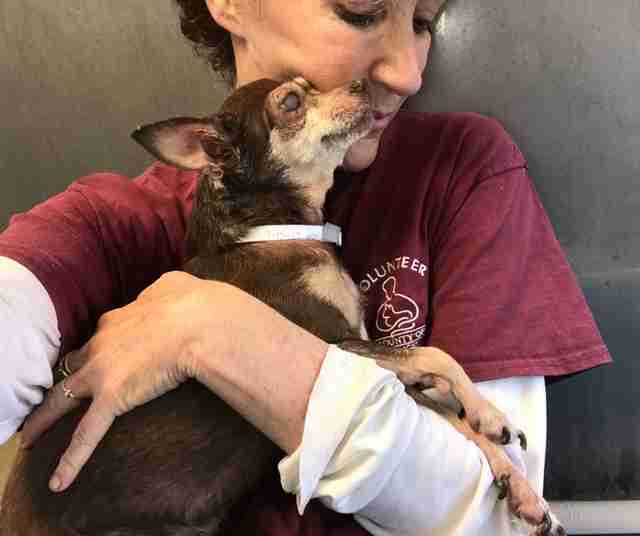 She’d originally planned on fostering the senior Chihuahua, but similar to what happened to Seamans, Jelly made McDonnell fall head over heels in love in her. 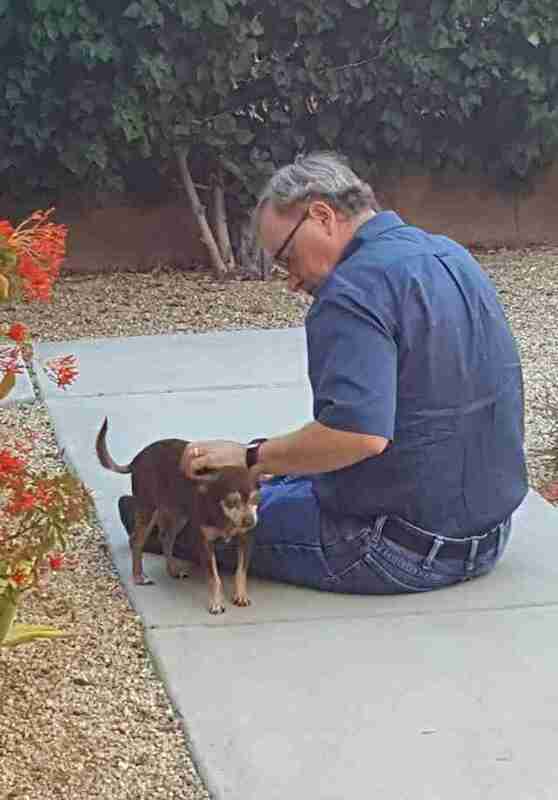 McDonnell had originally planned on just fostering Jelly, but she quickly decided to adopt her herself. And Jelly is already comfortable in her new home. 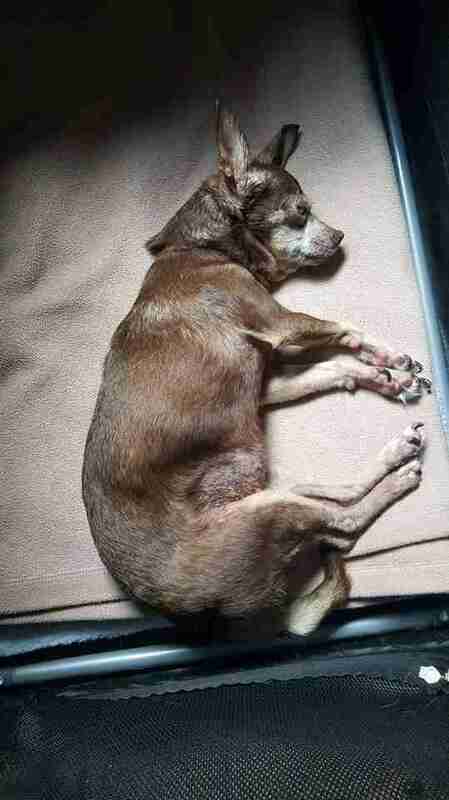 To help pay for Jelly’s medical bills, you can make a donation to At-Choo Foundation as well as Barkee LaRoux.